The Rongai route on Kilimanjaro is a road less traveled, the shortest route up Kilimanjaro. We only run seven day treks on the Rongai route. 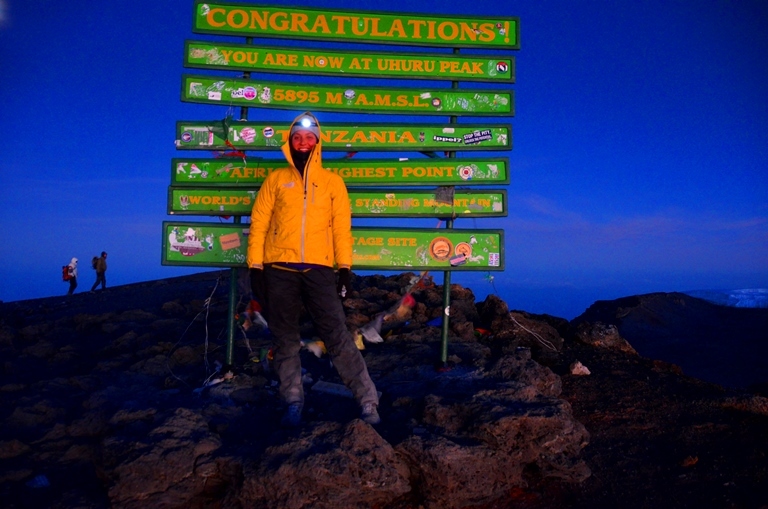 We will ascend Kilimanjaro from the north-east side of the mountain, along the border between Tanzania and Kenya. 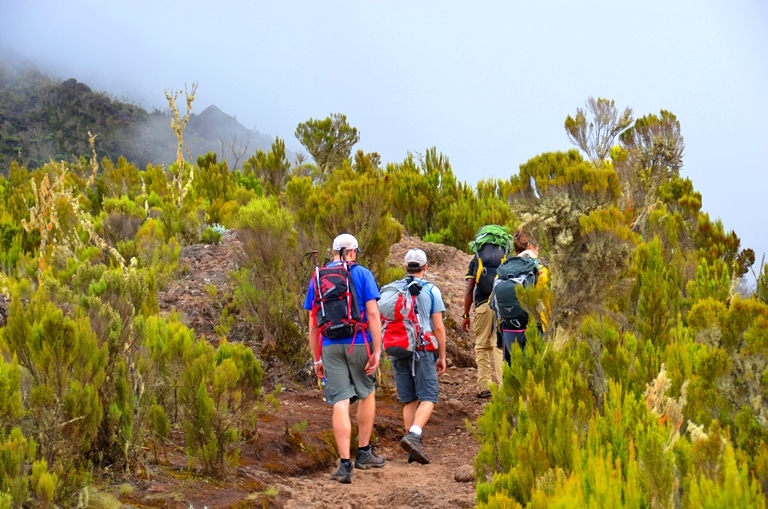 This route is similar to the Lemosho Route, being an unspoiled part of the mountain and remains a real wilderness area offering a different perspective on Kilimanjaro by approaching it from the north. Check out our up coming trips in 2019. WATCH OUR PACKING VIDEO. 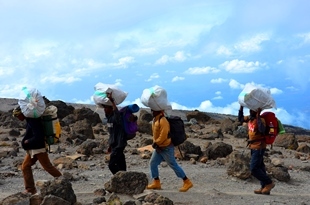 Over seven days, The Rongai route ascends Kilimanjaro from the north-eastern side of the mountain, along the border between Tanzania and Kenya. 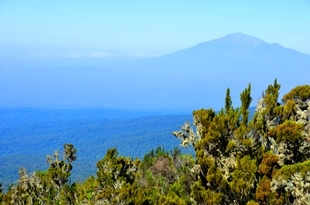 This route retains a sense of unspoiled wilderness and offers a different perspective on Kilimanjaro by approaching it from the north. 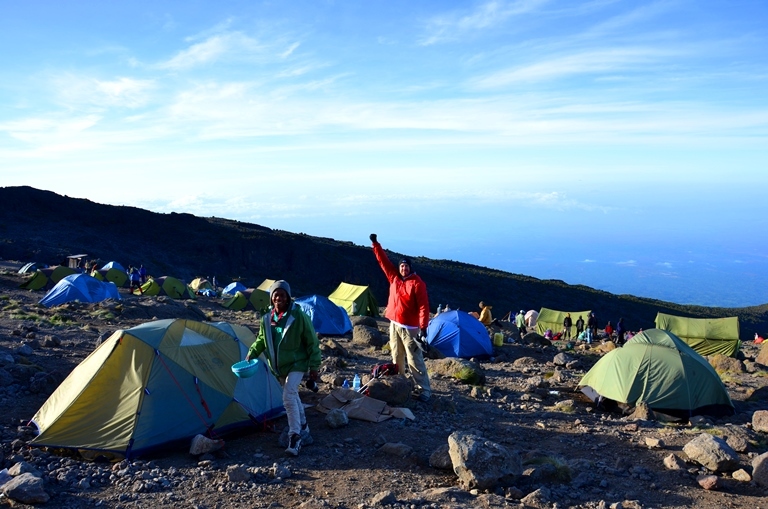 CLICK HERE for our top 10 tips for a safe and successful ascent of Kilimanjaro. Climbing on Mt. Kilimanjaro in Tanzania is generally on the to do list of every climber, trekker, walker and athlete in the world, and with good reason. The journey to the top is a beautiful and unique experience unlike any other, and with the right preparation, commitment and days to acclimatize your dreams can turn to reality on the highest free-standing mountain in the world! 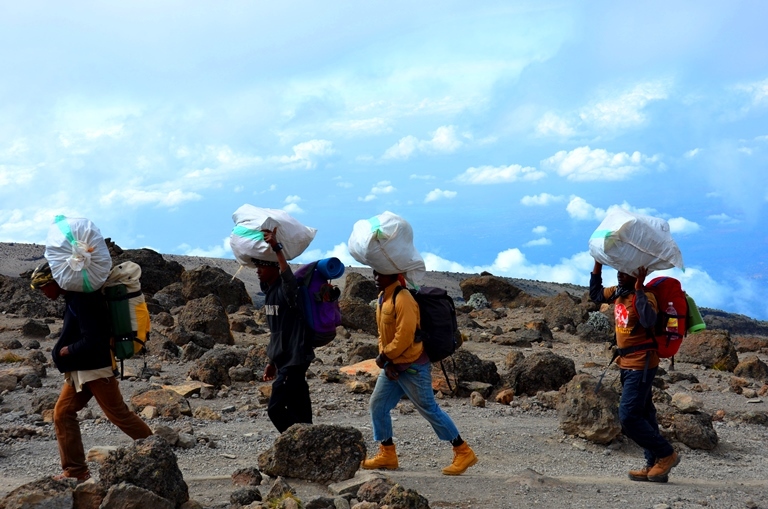 Kilimanjaro Rongai route might be for you. Call us and we can help you pick the right route, get personal training advice and talk to Ian directly. I have climbed Kilimanjaro 19 times to date and I will help you get ready for this amazing challenge and adventure. The cost start from $3,100. Rongai Gate 1,950m/6,398ft to the 1st Caves Camp 2,600m/8,530ft Hiking time: 5 hours, Distance: Approximately 8 kilometers (4.97 miles), Habitat: Forest (Montane). Today we will register at the Marangu park gate, after which we will transfer (approximately 2 ½ hours) to the Rongai trailhead. Meet your guide and porters before we begin the hike from the Nale Moru village. The small winding path crosses maize fields before entering pine forest, and then climbs gently through a forest. The trail is not at all steep, but is rather a gentle hike through beautiful country. The first night’s camp is at First Cave Camp where there is a toilet and a wooden table with benches, but no hut. Water can be found just down the trail below First Cave. 1st Cave camp 2,600m/ 11,319 ft to Kikelewa Cave 3,600m/11,811ft. Hiking time: 6 – 7 hours, Habitat: Moorlands. The trail continues up towards Kibo, passing Second Cave en-route, and reaching Kikelwa Cave. The views start to open up and you begin to feel you’re on a really big mountain! Water is in the obvious stream below the cave, although you might have to wander downhill a way to find some. Overnight at 3rd Cave camp (Kikelewa Caves). Critical acclimatization at Kikelewa Cave 3,600m/11,811ft. Hiking time: 3 hours. We will spend another night at this height helping you gain the acclimatization needed for a safer journey to altitude. This is where we differ. We want you to get to the summit so taking this extra day will significantly improve your chances at success. We will hike up to 4,000m/ 13,123ft with some great views of Kilimanjaro and then head back down to Kikelewa cave camp at 3,600m/ 11,811ft. Kikelewa Cave 3,600m/11,811ft to Mawenzi Tarn Camp 4,330m/14,206ft. Hiking time: 3 – 4 hours, Habitat: Moorlands. A short but steep climb up grassy slopes offers superb views of this wilderness area. The vegetation zone ends shortly before you reach your next camp at Mawenzi Tarn spectacularly situated beneath the towering spires of Mawenzi. Spend the afternoon acclimatizing and exploring the area. Mawenzi Tarn Camp 4,330m/14,206ft to the Kibo Hut 4,700m/15,420ft. Hiking time: 4 – 5 hours, Habitat: Alpine desert. Continue ascending on the east side of Kibo, crossing the saddle between Mawenzi and Kibo taking 4 to 5 hours to reach Kibo Hut. 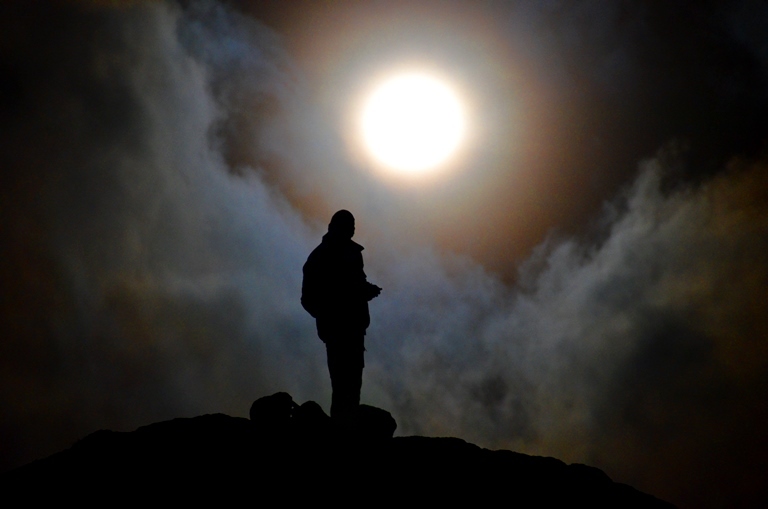 The remainder of the day is spent resting in preparation for the final ascent, which begins around midnight. Overnight at Kibo Camp. Summit Attempt! 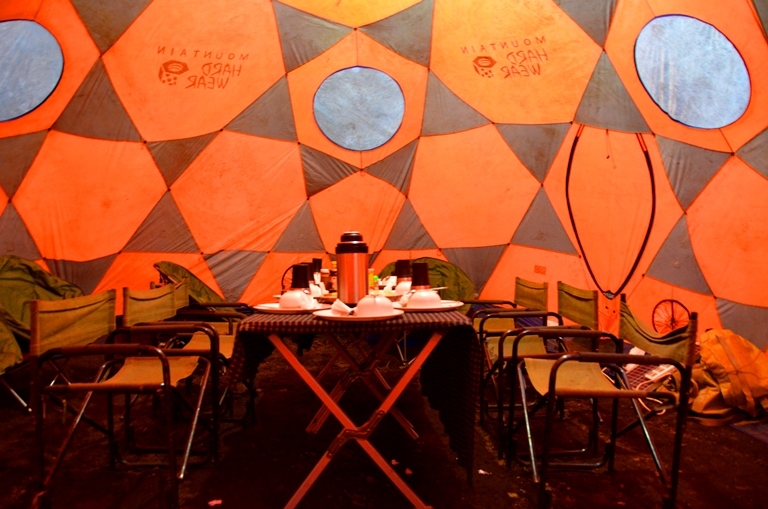 Kibo hut 4,700m/15,420ft to the Uhuru Peak 5,895m/19,341ft to the Horombo Hut 3,720m/12,205ft. 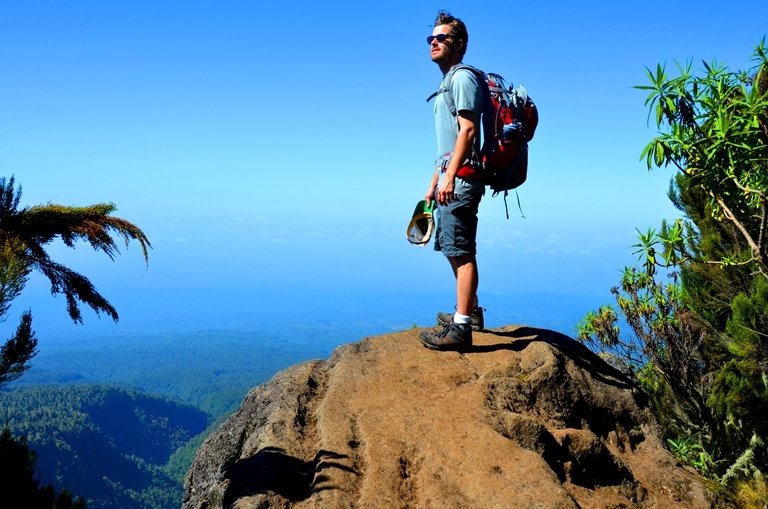 Hiking time: 8 hours to Uhuru Peak then 6 hours to Horombo, Habitat: Stone scree / ice-cap summit, Distance: Approximately 6 kilometers ascent (3.73 miles), 21 kilometers (13 miles) descent. We will rise around 11.30 pm, and after some tea and biscuits we will shuffle off into the night. This is where the going really gets tough. The first section of the trail consists of a rocky path to the Hans Meyer Cave 5,150m/16,896ft, also a good resting spot. The path then zig-zags up to Gillman’s point 5,681m/18,638ft, which is located on the crater rim. This section is very steep with a lot of stone scree, requiring a great physical and mental effort. This is probably the most demanding section of the entire route, so we will move very slowly. From Gillman’s Point you will normally encounter snow all the way up to Uhuru peak 5895m/19,341ft, the highest point in Africa. Total exhilaration and satisfaction – we made it! 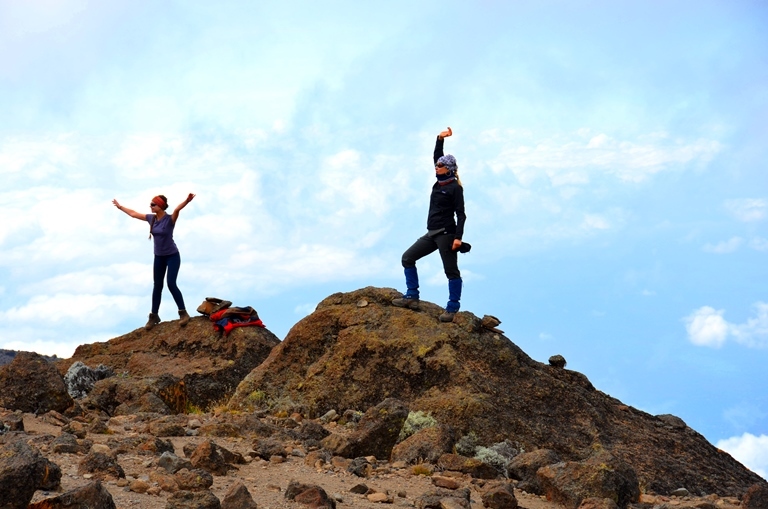 Weather conditions on the summit will determine how long we can spend enjoying our success and taking photographs, before the 3-hour descent back to the Kibo Hut. After a short rest we will gather all our gear for the ascent and head down to Horombo Hut (3 hours) where we will stay overnight. The return to Horombo hut will seem surprisingly fast compared to the ascent. The total time spent walking on this day is around 14 hours, so be prepared for a very tough day. Later in the evening you enjoy your last dinner (with soft drinks and beer for sale at the camp office) on the mountain and well-earned sleep, filled with memories and stirring emotions. Horombo hut 3,720m/12,205ft to Marangu Gate 1,980m/6,496ft. Hiking time: 6 hours, Distance: Approximately 27 kilometers (16.8 miles). 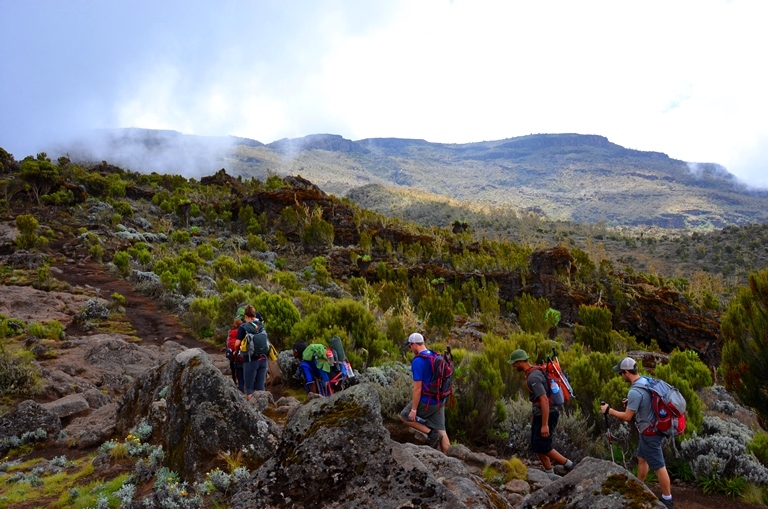 After breakfast we will continue the descent (6 hours), passing the Mandara Hut, down to the Marangu Gate. At Marangu gate we will sign each of our names and details in the register, and each successful climber will receive their summit certificate. Those climbers who reached Gillman’s Point are issued with green certificates and those who reached Uhuru Peak receive gold certificates. We will then drive back to Arusha for a long overdue hot shower, dinner and celebrations!! Overnight at the hotel. 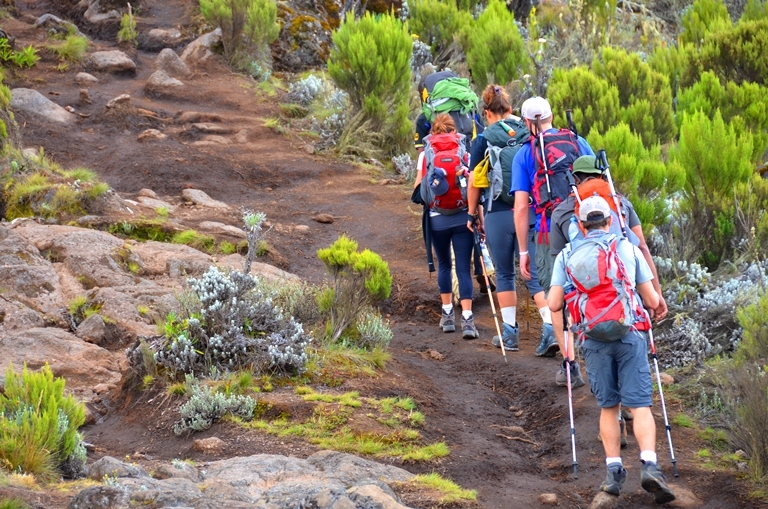 Does this information about climbing Kilimanjaro Rongai route excite you? 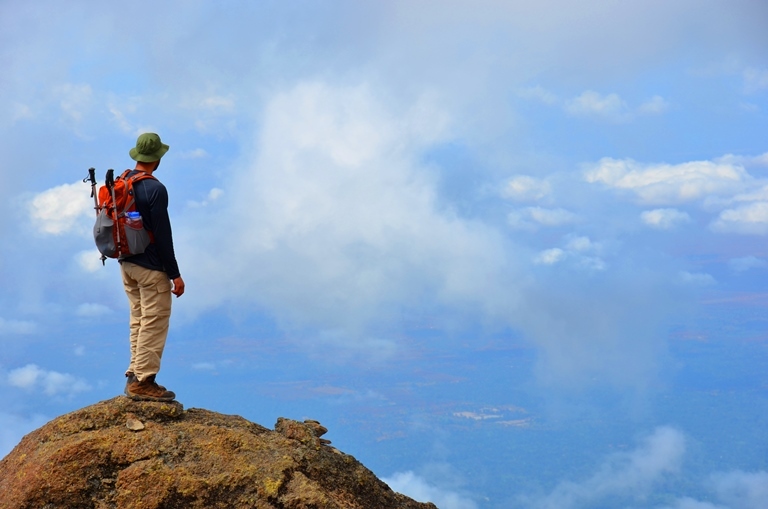 Take the next step towards achieving your goals in the mountains? If so, get in touch today. We pride ourselves on making sure that our clients have every opportunity to succeed on the mountains, including professional training advice, gear lists and video links on how to pack your bag, and much more. We are always available to answer any questions you may have by email, phone or skype, so contact us today!